Mr. Schaefer’s practice includes all phases of patent application preparation and prosecution in electrical and mechanical arts, including diverse computer systems and architecture technologies, communications, software, and business methods. He has authored numerous original patent applications and enjoys counseling clients ranging from individual inventors to large corporations in all aspects of patent law. Mr. Schaefer devotes a significant portion of his practice to helping clients with patent enforcement and defensive measures, including providing infringement and validity searches and opinions, reexamination proceedings, and litigation support. 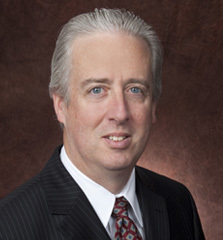 In all aspects of his practice, he is able to draw on technical knowledge and experience gained from over 20 years of employment, prior to entering the patent law profession, as a computer and software engineer with several major U.S. companies. In his capacity as an engineer, he has been involved with both circuit and software design in microprocessor and computer systems, display systems, avionics and air traffic control systems, communication, and satellite systems.